Those familiar with Tucson, AZ may want to jump right in and start searching for a home at the – Easy Home Search – Below. OR See our Featured Tucson MLS Homes. 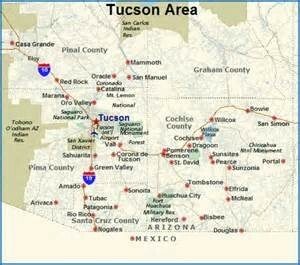 If you are not familiar with Arizona or Tucson you may want to start at – Living In Tucson or About Arizona. Want to find an experienced Realtor Team? Click the – Find Your Realtor – button. Want to get ready for your move? Use the – Moving To Tucson AZ – button. As a Tucson home buyer, finding a home and moving can be a stressful event. Even if you have moved dozens of times. Whether moving for a new job or heading for that perfect place to retire, it takes a lot of time and effort. We want to make your Tucson home buying experience easy and stress-free. Call us – 520-940-4541. But we can make it much easier. Our clients say our level of service and personal approach made a big difference to them. We put you first. How? By listening to you. Understanding your wants and needs. We ask questions to better understand your objectives. We offer suggestions and our expertise to find the right home for you. Our professional backgrounds and experience is unique in Tucson real estate. That means we approach the home buying process with the client’s interests in mind. We give every client the level of professional service they expect from their attorney, accountant or trusted financial adviser. We explain each step in the Tucson home buying process from beginning to end during our first meeting. Before you submit an offer, we will explain each section of the Arizona purchase contract and explain what it means to you.